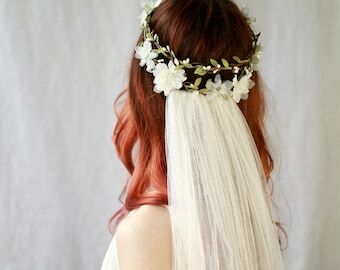 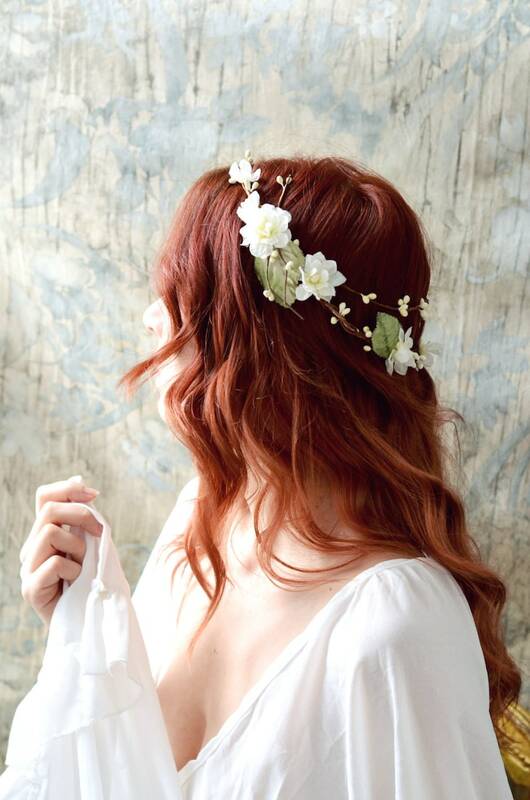 This pretty bridal crown features a base of rustic woven vines forming a circlet. 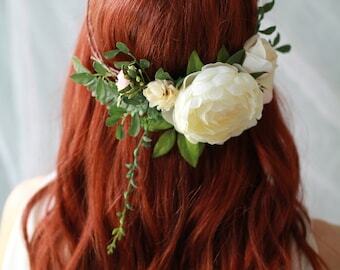 There is a double strand in the back and ivory flowers with velvet leaves scatter throughout. 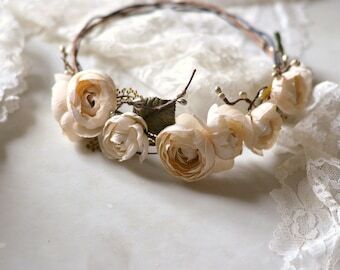 I wore this circlet during my baby shower and got many compliments on it. 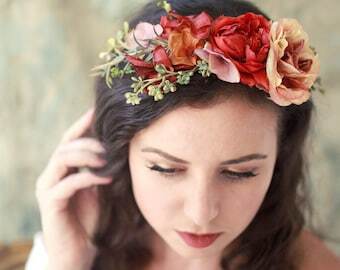 Plan on buying from them again.